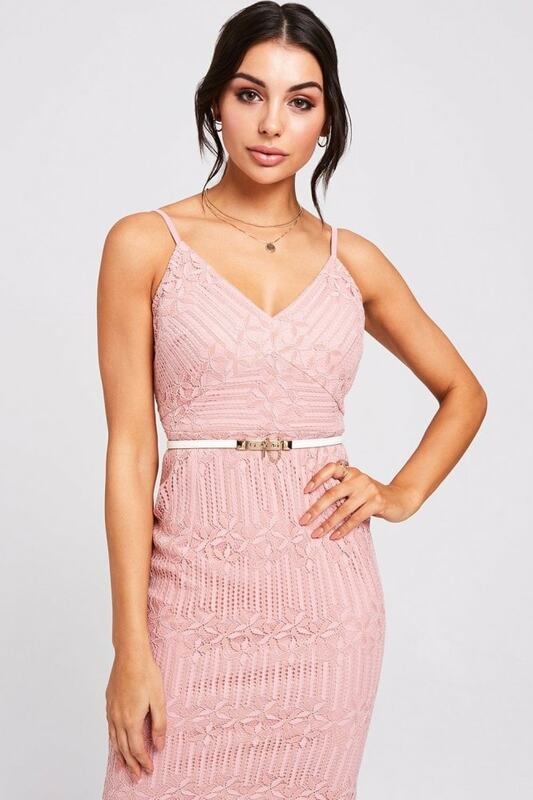 Knee-length fitted dress in lace. Adjustable narrow straps, v-neckline and split back hem. Zip fastening.